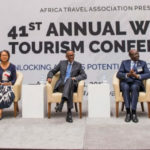 of the group thirteen in 1992 when some females from group thirteen such as Ijisho, Gukunda, Kampanga were taken and later on got other females from group eleven. 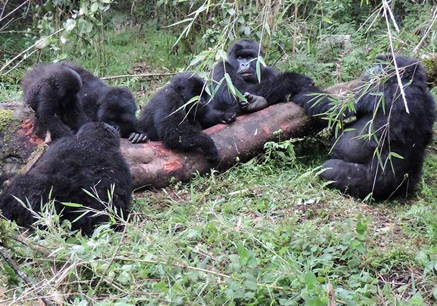 Thus, a new group was formed with four females and two silverbacks; the name of the group was then changed to Sabyinyo. 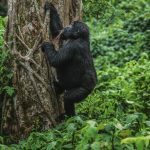 At first, the group was known as Amavubi meaning wasps due to the hard time given during the period of habituation that was only composed of three silverbacks: Guhonda, Ryango and Ruhennyi. Sabyinyo is one of the closest groups to the park’s edge and is easily accessible group led by the powerful silverback Guhonda, the largest silverback measured to date, at 220kg. They can usually be reached within a two-hour walk. There are fewer members within this family than in the other groups however they are equally impressive as a family. You will be entertained as you observe them for one hour up close playing in their natural habitat. 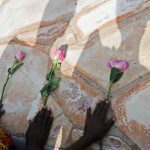 The group composition keeps on changing depending on the rate of birth, death, emigration and migration, new members can be found in the group as well as others leave the group. 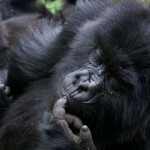 It has 13 members, including 2 Silverbacks, one of whom is the biggest of all the silverbacks in the volcanoes. Gorillas might take anything from ten minutes to an hour to reach, but generally, the slopes aren’t too daunting (though can be slippery after rain). 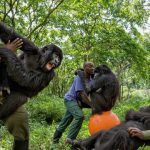 Secure a permit on time to visit this gorilla group with firm history as trekking gorillas over pick season can be difficult at short notice, so you should plan well ahead. 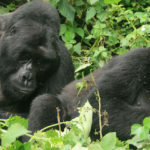 Only 80 gorilla tracking permits are available each day at US$750 per person. 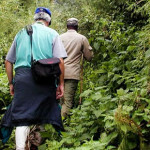 Gorilla trekking safaris can be done throughout the year though it can of course rain here at any time. 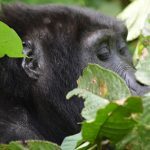 Have your gorilla tracking holiday during the drier months of December to February, and from about June to mid-September for spectacular and ultimate experience. Look into the eyes of a large silverback gorilla and he’ll look back with a thinking, intelligent stare, mindful that you’re another individual.